TCL Cosmetic Acupuncture Contest Winners – Results! 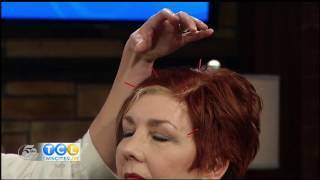 See the amazing before and after transformations of our two Twin Cities Live cosmetic acupuncture contest winners! Nora Ephron’s book title, “I Feel Bad About My Neck,” summarized how many women feel as they age. And our dear patient Mary felt that same way until she experienced Healing InSight’s cosmetic facial acupuncture. Read on for her results for her jowls and jawline, and why she prefers the natural approach instead of a face lift! Mary, why did you decide to do cosmetic acupuncture instead of something else?